The irony of life. Just as we are entering February a month dedicated to the various celebrations around the US in honor of Black History month, we lose a legend. 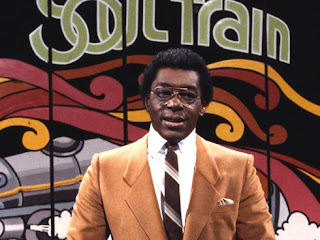 Don Cornelius who is attributed to spreading the music and culture of Black America to the masses. Helping to make some people like Michael Jackson, Aretha Franklin, and Marvin Gaye a household name, not to mention having one of the longest running syndicated shows in history- has taken his own life. It fills me with so many mixed feelings like what was going on at 75 years old that he felt that was the answer and you really can't judge a smile and assume that means everything is okay. I remember some of the episodes of Soul Train. Everyone loved it and looked forward to that show. Of course I was too young to identify it with history in the making and Black History in the making no less, but I would be hard pressed to find someone who didn't have a fond memory of that show. The Soooooooooooooooooooooooooouuuuuuuuuuuuuuuul Train! I hope he is at peace now. Rest in peace. His contribution to music history, a lifestyle, and culture is legendary. 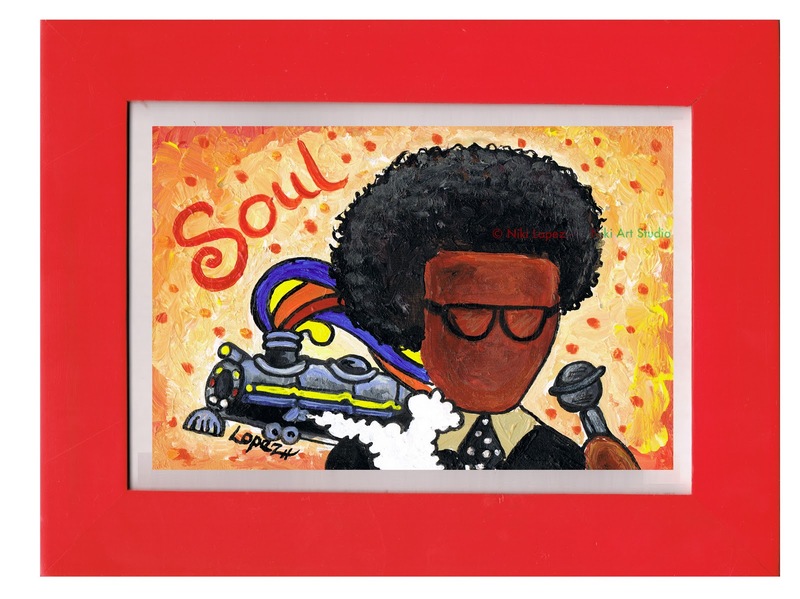 Since I have been on this 'painting war path' with my new series of small works of art, I felt it only natural to paint my own small tribute to the Man of Soul. My heart goes out to his family. This Black History Month is starting off bitter/sweet. Cornelius touched the world!